Starting January 1st, Cary Healthcare Associates will no longer be mailing out copies of lab work. Did you know you can view and print your lab results online? As a part of our continuing effort to provide innovative and convenient medical care, we offer you the ability to view your lab work online. Please ask for a login to join our Patient Portal today. A 24 hour notice is required to cancel appointments. A $50.00 fee will be charged when an appointment is missed without a 24 hour notice on the 1st occurrence, $100.00 will be charged for the 2nd occurrence and $150.00 for any subsequent missed appointment within the calendar year. A board-certified family healthcare clinic in Cary, NC, which accepts new patients, including new Medicare patients. Our vision is to provide efficient, effective and excellent patient care for individuals and families at every stage of life. We offer same-day prompt appointments, provide complete men’s, women’s, and pediatrics healthcare, and accept most major insurance plans. Should an emergency arise, we provide after-hours on-call services for our patients. For all of your family healthcare needs, come to Cary Healthcare Associates. Our Board-certified Family Medicine professionals and support staff strive to encourage the mental, physical and emotional well-being of our patients. We provide cardiac patient care for our patients by highly trained cardiac team members in a well coordinated system emphasizing high quality of care and clear communication. Our care is patient-centered, emphasizing an approach that is comprehensive and coordinated while encouraging effective communication at all levels. We provide annual flu (influenza) vaccinations for all members of your family, including children ages 6 months and up. See Cary Healthcare Associates for your flu shot. 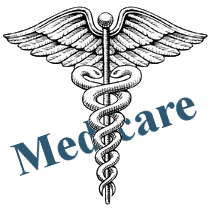 As part of our focus on family-medical care, Cary Healthcare Associates happily accepts new medicare patients. If you are on Medicare, stop in to see us today. Providing high quality, patient-centered healthcare in a comfortable environment. Skin tightening, hair removal & vein reduction using Candela Gentle YAG Laser, producing a cooling spray to the skin with each pulse for safe, fast and effective treatments. Let us know. We want to hear from you!